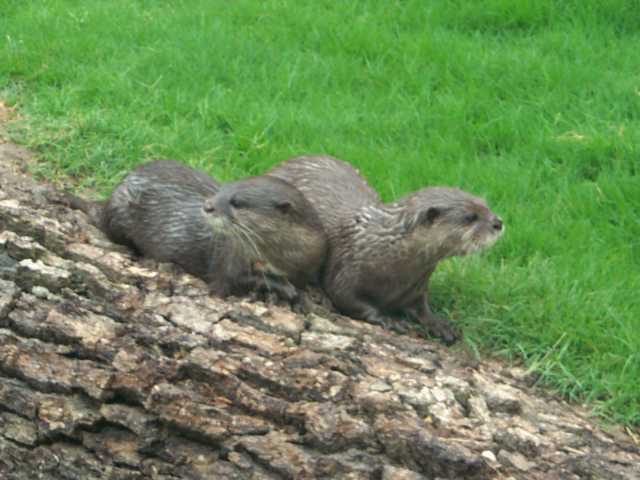 Asian small-clawed otters live on crabs, mollusks, fish, and small aquatic mammals. Asian small-clawed otters live in freshwater wetlands and mangrove swamps. They are on land more than any other otter. Asian small-clawed otters are found Southern India, Southern China, Southeast Asia, Indonesia and the Philippines. Asian small-clawed otters are one of the few social otters. Breeding pairs will stay together for life and both participate in the raising of their young. Young otters will often stay with their parents after adulthood and live together in a small social group of anywhere from 4 to 12 animals. 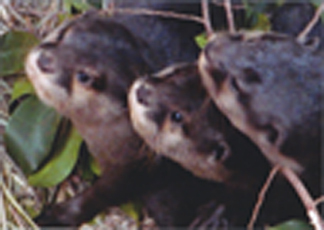 Within these groups, Asian small-clawed otters can be found playing games such as tug-of-war or just sunning themselves. The female Asian small-clawed otter is dominant over the male and the male will hunt for the female and her pups as they develop. Young Asian small-clawed otters are born small and helpless. They don’t open their eyes until they are 40 days old. They start to swim at 63 days and eat solid food at 80 days. Asian small-clawed otters have an excellent sense of vision, both under water and above.